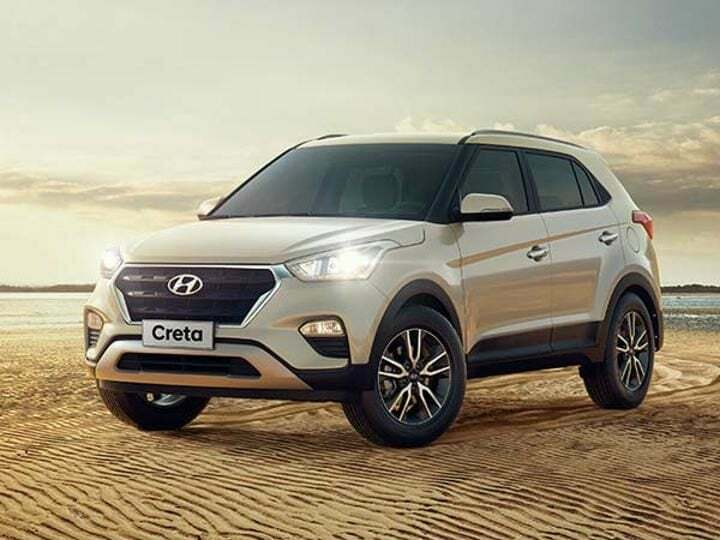 Company officials confirmed the launch of the Hyundai Creta facelift in the second half of this year. A new report has come in claiming the launch is mere 2 months away! Hyundai Motors has seen global success in the past couple of years. Pushing the same forward, the company has opted for the aggressive launch of new products and refresh for the existing ones. The company showcased the Ioniq electric at the 2018 Auto Expo. The same event saw the launch of the 2018 Hyundai Elite i20. The South Korean giant took wraps off the latest Santa Fe SUV last month. The new SUV will offer both 5-seater and 7-seater variants. In India, the Elite i20, Verna, Elantra and most of all, the Creta has seen great success. Hyundai understands the demands of each market and develops their vehicle lineup accordingly. The latest entry is the Hyundai Creta facelift which will be launching soon. Want to know more about the upcoming compact SUV? Read along. Hyundai has aggressive launch plans for the Indian market. It’s subsidiary, Kia Motors also plan to enter the Indian market with a Creta based SUV. Meanwhile, the upcoming Hyundai Creta facelift will launch in May 2018. The facelift will sport multiple visual as well as mechanical changes. Must Read: New 2018 Hyundai Creta Facelift – All You Need to Know! The Hyundai Creta has been a segment leader for a while now. Customers love the spacious interiors and premium exteriors the most. The current Hyundai Creta range starts at INR 9.5 lakh ex-showroom. The Creat facelift is expected to start at the same price while the top end models will see up to INR 80,000 rise in price. According to the report published by our friends at MotorOctane claims that Hyundai has even started training the dealers and the initial batch will be dispatched by April end. The upcoming Hyundai Creta facelift will sport multiple changes compared to the existing SUV. The upcoming SUV has been spotted testing a numerous number of times. Several upcoming features on the upcoming SUV are already evident. The Hyundai Creta Facelift will carry a larger and new premium design grille up front. The front, as well as the rear bumper, will feature revised design. The facelift to retain the existing headlamp design but the tail lamps will feature a new design. New 17-inch dual-tone alloy wheels will replace the existing single colour unit. The recent spy shots of the Creta reveal that the top variants will get an option of a sunroof. No major changes are expected to the interior except for the updated infotainment system. The upgraded system will support Hyundai’s Auto Link Smartphone app. The upcoming Hyundai Facelift will carry the same drivetrain forward. Powering the SUV are three engine options i.e. 1.6-litre VTVT petrol, 1.4-CRDi diesel and a 1.6-litre eVGT diesel engine. A 6-speed manual transmission is standard across all variants while the 1.6-litre engines get an option of an automatic. The automatic transmission is offered on both petrol as well as diesel model. Stay tuned for more updated on the upcoming Hyundai Creta Facelift.